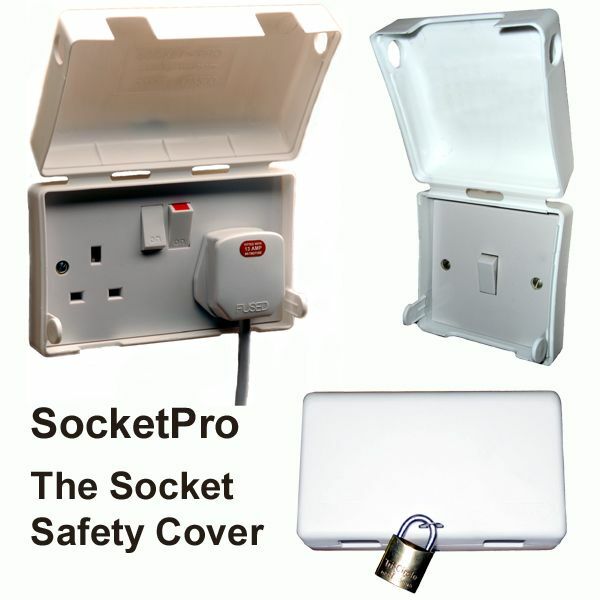 A safety cover for your electrical sockets or light switches. 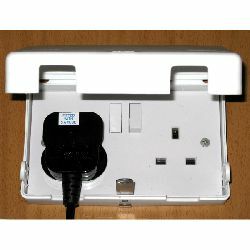 Provides splash protection for exposed sockets in kitchens, food preparation areas, etc. Prevent your PC accidentally being switched off while you`re working or while it`s backing up! 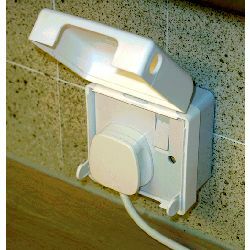 Stop your toddler poking something into the socket and risking electrocution. Deter anyone switching off lights you want left on. 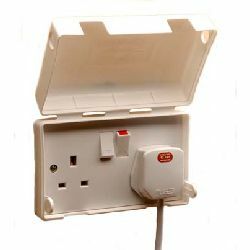 Warning: alternative products such as socket inserts are potentially dangerous ...and Should Not be Used!